Amazon Echo is a small portable voice assistance. Amazon Echo is a great device capable of performing multiple tasks. Amazon has become popular in the market with its variety of tasks everyone wants to have in the Home. There is a number of alternative devices for Amazon Echo. Those alternatives have some other additional technological skills. 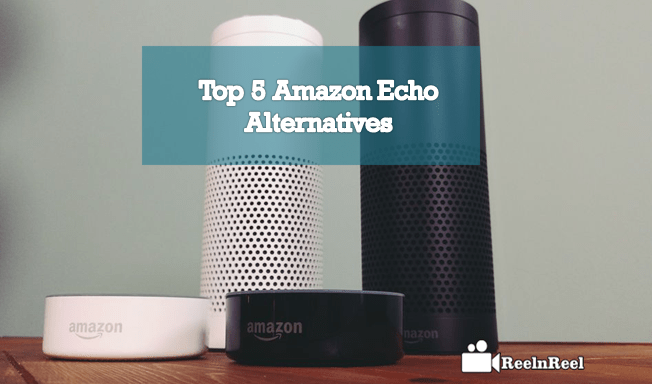 Here we have listed the Amazon Echo alternatives going through deeply to decide on choosing the best one. Invoxia Triby is a portable voice control speaker, it can replace Amazon Echo and Alexa with its features. Triby was manufactured by Amazon’s Alexa a portable power battery with a set of skills and good looking speaker. You can operate Triby app by your smartphones asking for News reports, News, music and more options. You can set and change the display Uber requests, alarms, music, Wikipedia as your requirement doodles for e-paper display on speaker. Triby uses portable Bluetooth, when you change a new doodle it appears like a yellow flag on the display which means you have got the new notification. Google Home smart powerful speaker where you can ask the question and tell things to do at home. The only thing you should do is start with “Ok Google” and then start saying something. 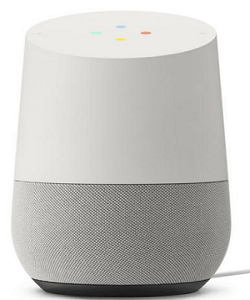 Google home mainly used by the music lovers to listen the music from YouTube. Google Home is a strong competitor to Amazon Echo, can work as a chrome cast device to stream music, plays music from YouTube, Spotify set alarms and more advanced smart home features. Google Home can link up with one Google Account to access the browsing features and can integrate with Philips, Nest and Hul compatibility.Many people would love to buy Google Home because it does not look like a weird thing, it blends with an environment. 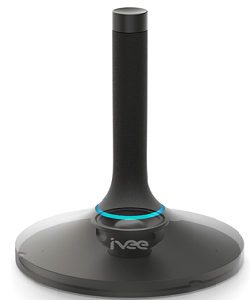 Another cool gadget you can buy as an alternative to Amazon Echo was Ivee. it looks unique from other speakers, can connect with the devices Philips hue, Logitech Harmony, Nest and many options. 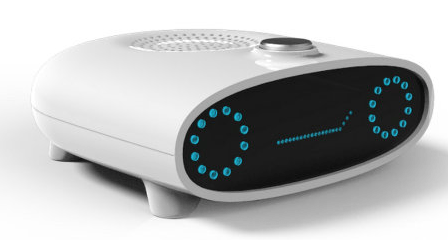 It consists of two microphones, it can listen up to 15 feet away from person can boost voice from Several improvements. It looks elegant, looks like a tissue paper holder. It’s cheaper than Amazon Echo there is half of the price variation from Echo and Ivee. The special features of Ivee are low price, low profile form factor, third-party app integration and Open hardware. It comes with an audio port, touch control knob to change volume adjustments. JAM voice is truly an Amazon Echo competitor works like an Alexa command response. 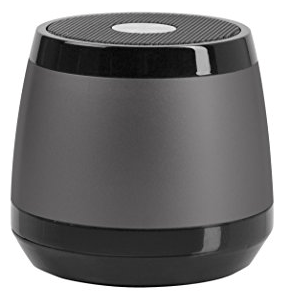 JAM voice controller speaker is better than Echo with these features high-quality sound system, a good battery, Inexpensive and Alexa inside. JAM is an exceptional device, performs the hands-free operation you can just top on the button top of the speaker performs various operations like setting alarms, check for weather updates and more as Alexa can do. 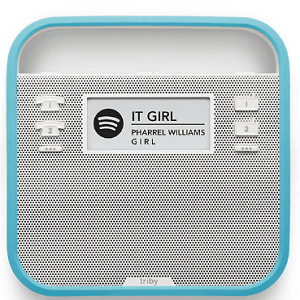 You can use it as an Alexa stream music from various ways, is a portable speaker to carry anywhere you like. It can last for four hours of charging can charge easily with portable micro USB cable and comes with inbuilt with Bluetooth speaker. Mycroft is an open source platform built in with Raspberry Pi and Arduino Boards. You can use it as a home device because it was inbuilt with speakers like Philips Hue device, smart things and can communicate with natural language to perform actions. The key features of Mycroft are posting on Facebook pages, start with a 3D printer, Roomba control, YouTube support, open source, make your own way and lots of integrations. You can install it to your desktop or laptop to perform operations. You have many Amazon Echo alternatives to choose but we have compiled the Top 5 Amazon Echo replaceable or competitors. If you are willing to buy a new Google home assistance just grab some information from the above article to choose the best alternative.